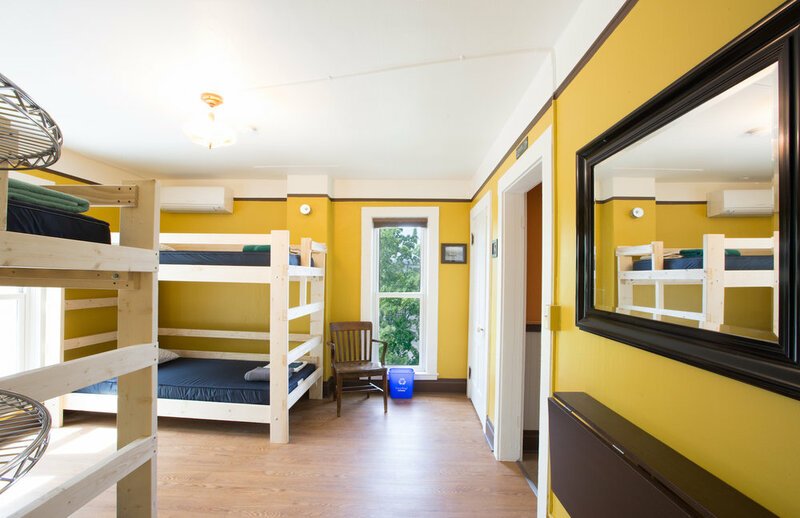 Female Dorm — Welcome to Shady Spruce Hostel! 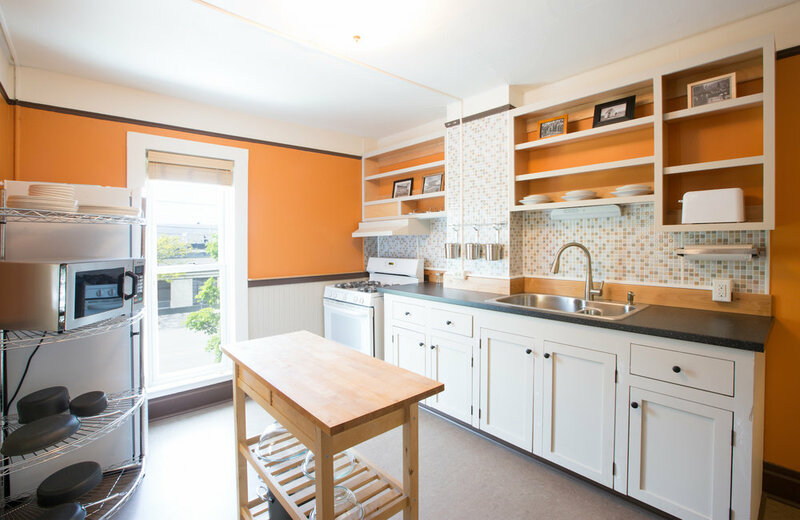 This cheery view packed dorm room is tucked into the house's original master bedroom. There are 2 spacious Twin XL bunks, with firm/soft mattresses, that comfortably accommodate 4. The room has a full size closet and each sleep space offers a USB port with LED reading light. A Shady Spruce usual; our duvets, bedding linens and towels are made with 100% cotton. Groups of 5 might consider annexing our adjoined single private room. 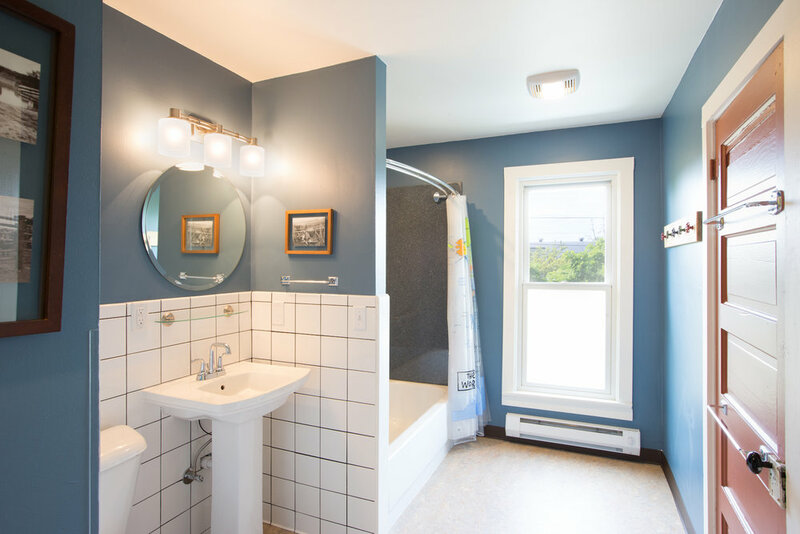 The hostel’s third full bath is conveniently located nearby. *Guests hoping to avoid stairs are encouraged to consider booking a ground-floor mixed dorm bed as a cost effective alternative.